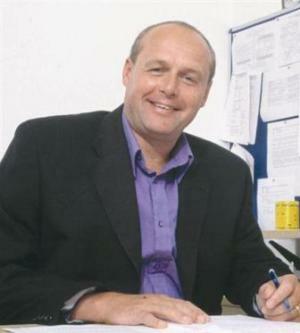 Mr Golds detailed his accusation in a letter to the parliamentary commissioner for standards in September 2009. After quite some time and some unnecessary delays and denials, the commission went on to confirm that the allegations by Mr Peter Golds had basically been correct, and that Mr Jim Fitzpatrick had actually been “in clear breach of the rules of the House” he was ordered to pay back the money for the envelopes, and assorted stationary. Not just the £24 he offered but the full £557 for sending out some 1,700 letters and envelopes unsolicited which is clearly in breach of house of commons rules & regulations, which had spanned a few years. Please take the time to read through the entire committees investigation (Standards and Privileges Committee – First Report Jim Fitzpatrick), you will find evidence of Mr Fitzpatricks disregard for the commitee and his delaying of an official investigation into his conduct. So with his own mouth it looks like he’s admitting to playing the political game in the hope of securing his position within parliament, and on such a minor matter. If hes willing to waste taxpayers money, and then to delay an investigation into such minor matters then what else is he capable of? These are the types of politicians we have running our local issues, can we really trust any of these people? On another note, almost a week later and there has not been a peep from the East London Advertiser on this. Surely this is classed as local news, surely it deserves a mention on their website?. Leanne Minick’s Tragic Death at Sandall House – What really happened? First of all I would like to express my extreme sorrow and regret to the parents and family of this beautiful little 8 year old girl Leanne Minick who lost her life in a tragic accident at Sandall House near Victoria Park. I’m am very uncomfortable writing about these matters or even expressing myself in this way, so please forgive my reluctance in describing these matters. As I sometimes feel that words if spoken incorrectly in these situations can sometimes reduce the emotional weight and impact of the facts, and that this can be looked upon as insulting to those closest to the story. “The Death of eight-year-old Leanne Minick, who plunged from her 15th-floor flat on Saturday, has sparked safety fears over tower block windows. Angry residents have said the tragedy at Sandall House near Victoria Park could have been prevented. One neighbour told how Leanne’s mum Clair Sieberras and stepdad Ian Whitmore had nailed Ian Whitmore had nailed Leanne’s window shut but were instructed to remove the nails because they were ‘dangerous’. Like most others i imagine, were disgusted to read about the nailing shut of the windows to protect your child, and also the accusation of the parents being to told then the remove them. . So was this true or was this an off-the-cuff remark made stupidly at the time or was this the truth? Of course it stands to reason that Old Ford would immediately deny this, and seeing as now that the East London Advertiser have even removed this quote from their website, then I would imagine that Old Fords legal team have swung into action. I’ve had experience myself with observing how these legal teams operate, and let me assure you its not a pretty sight. Something about this entire situation just doesn’t feel right, so I tried to look myself to find sources of information from family and friends maybe that had given other qoutes regarding this, so i looked for any tribute pages or others that may have been set up in her memory. I’m no facebook officianodo either or fan for that matter, and have never really searched or used the site myself, but one thing i am good at is Googling or using the search engine google to put it another way. But I cannot seem to find any such tribute sites. and even thats also just referring to the now edited article on the East London Advertiser page. Fourteenth floor resident, Shohel Ahmed, 28, a student, said: “I feel very sad about it because she was really little. One mother of a two-year-old girl said she had been complaining to Old Ford for the last year about the windows because she was worried about her child’s safety. And another mother, Sahra Mohamed, said: “It is absolutely not safe. The windows are not safe. Ms Mohamed, who applied for a transfer from the block in the aftermath of the tragedy, said she would only feel safe on the ground floor. Now with the accusations of complaints regarding the windows being chucked at Old Ford Housing Association and Old Fords denial that any complaints had been recieved, this started pricking my curiosity as I’ve heard of complaints regarding other housing associations never being dealt with and even complaints going astray. Old Ford now claim that child proof safety locks were installed on all the windows to Sandall House in 2004. As these types works to windows and doors usually fall within the scheme of major works and should need planning applications submitted, I then immediately wanted to confirm the truth of this myself so went to the Tower Hamlets Planning website, as all installations of these kind have to go through rigorous planning proceedures, and also have to adhere to health & safety guidelines. For me anyway, its usually pretty straightforward to find unknown planning applications, that I can then look through at my leisure. Typing “Sandall House” into the planning departments search facility though is another matter, the council planning page and online archive usually stores all applications going back to the year 2000. Searching using “Sandal House” only reveals 3 planning applications for that site, going back to October 2009. I’m not saying that the planning applications for new windows in 2004 have been removed, but where are they? What i did find though was this page on the Tower Hamlets site regarding replacement window compliance, which goes into some detail about window replacement, building regulations and the FENSA scheme. The FENSA scheme is something that all replacement windows should adhere to by law since April 2002. The FENSA scheme ensures that windows are installed to the correct building & safety regulations, and needs qualified installers to be approved. The work must then be checked and certified by FENSA inspectors. So the question stands were these windows and safety catches installed by qualified FENSA installers, in 2004 as June Morton claims? More searching revealed another twist, I also found an unfinished newsletter to residents of Sandall House on Old Ford’s website that points to the fact that residents on the estate were to have their windows overhauled or renewed which was dated June of 2010. Now if this is true that the windows need replacing or overhauling, then this would surely back up somewhat the residents were saying regarding the safety of the windows. Where are the planning applications for the installation of the windows in Sandall House in 2004? Were the windows child-safe? and installed adhering to the FENSA scheme?, If so residents should demand to see the safety certificates. Why does it seem from the newsletter that the windows now need overhauling/replacing? Sorry if any of this upsets anyone, this is definitely not my intention. Its just that something about this entire situation bugged me right from the start, not that my own delusions about all of this mean anything or prove anything in anyway, its just that i finally had to put this out there just in case others felt the same. Again my heart goes out to the parents, family and friends of Leanne, and all those effected by this utterly tragic episode in the lives of everyone close by. Please if anyone has any more information regarding the state of the windows or that complaints had been made, then please feel free to comment, because if safety was an issue then this definitely needs to be addressed and quickly. As a result of the collapse of Connaught, one of Tower Hamlets Homes major works contractors, work on the St Vincents Estate in Limehouse E14 involving the installation of new kitchens has now halted. At least 5 families have been without a kitchen for around 5 weeks, as the old kitchens were removed at the start of the financial problems that hit the contractor Connaught. Sub-Contractors to the company initially went on strike as they had not been paid, which started the problems on the estate as the works temporarily halted. These contractors were then paid and work begun again, albiet behind schedule, when connaught finally collapsed as reported here 2 weeks ago work came to a grinding halt again, leaving all future works unstarted on the estate. 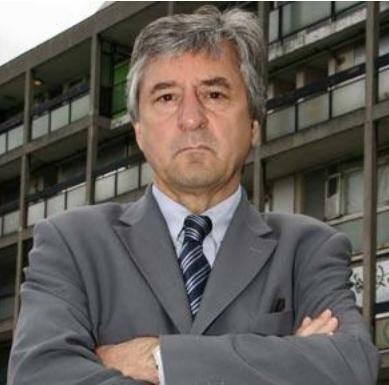 Tower Hamlets Councils (in-house) void properties team who bring empty properties up to a decent standard normally replacing damaged kitchens and internal decoration have now been brought in and installed new kitchens in the homes of the 5 families who were living without one. Apparently at least one of the sub-contractors to Connaught who were installing new electrical installations into the homes on the estate has also not recieved any money from Connaught who have now slipped into administration. Residents on the estate are questioning why the void properties team who are quite capable of installing new kitchens and carrying out the Decent Homes Works and also the major works, then why does the council need to pay another contractor hundreds of thousands of pounds extra to do the same work? All future work on the estate that was contracted to Connaught is now officially halted as internal wranglings within Tower Hamlets try to figure out how to proceed. 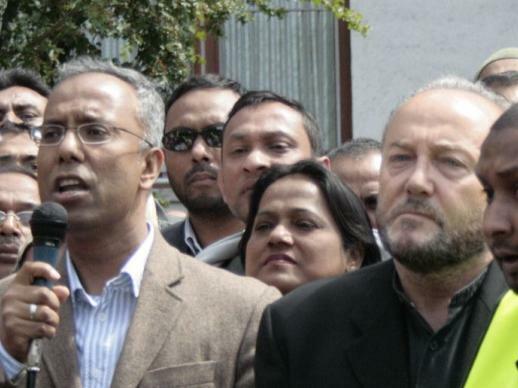 Why did it take the Respect Party this long to admit to backing Lutfur Rahman for the position of Mayor, when i personally heard George Galloway state this at the supposed Anti-Fascist rally in June of this year. Heres again is my own recollection of the Rally earlier in the year, where Mr Galloway made his statement backing Lutfur Rahmans bid for Mayor. Why was it that no-one believed me then, some even laughing at my stating that Lutfur was even considering going for Mayor. IMO this signifies the real death of the Labour Party in this borough, a party that I’ve been almost conditioned to support from an early age, seems now to be imploding on itself locally. How they could not keep this scum-bag out of local politics, I’ll never know, and by finally announcing they will back Lutfurs bid for Mayor, their former political enemy, the Respect Party has finally lost it. Yesterday between 12 & 1pm estate cleaners & ground workers employed by Poplar Harca protested outside Poplar Harcas Offices in East India Dock Road. The protest has been bubbling up for quite some time, for over a year Estate Cleaners/Ground Workers have been feeling abused by Steve Stride’s approach to his front line staff. Apparently Poplar Harca pay their estate cleaners/ground workers and gardening crew far below the London Living Wage which was set up because of the higher cost of living in London. The London Live Wage tackles poverty directly and gives workers the bare minimum that stops them falling into the poverty trap. In Tower Hamlets the workers claim to be the lowest paid estate cleaners of any organisation acrosss the entire borough. All of the estate cleaners were working for an agency around 2 years ago, and were then brought in-house over two years ago. Those employees were given a contract that restricted them to wages that make it difficult to survive in todays climate. They also suffer from restrictions on their actual pay-scale. They do not enjoy the same status as other Poplar Harca Employees when it comes to pay-scaling. Where all other employees enjoy regular pay reviews and differing levels of pay linked to time of service, those at the lowest end of the employee spectrum working for Poplar Harca are left out of these types of bonus structures. This they argue leaves a disallusioned workforce feeling left out and abused by their employer. Add this to the fact that they were also burdened with a contract that tied them into also working one weekend a month for no extra pay. Working both Saturday and Sunday without pay left them feeling abused by their employer Poplar Harca. Over the past few years, they argue that Poplar Harca have slowly decimated the front line workforce, on some estates you would have had upto 8 estate cleaners, where now there are around 3 to 5 workers, this has led to increased patches for each worker and ultimately more work. If you go walking around the estates now, you will see weeds growing through concrete, rats and mice now plaguing the estates, and overworked and overburdend workforce. For over 2 years they have been fighting to be heard by Mr Stride who apparently turns up in person to the meetings with Union reps, but still to this day they feel they are getting no-where. Steve Stride the CEO of Poplar Harca whos own wages have gone up by at least 73% since 2003 (over 3 times the rate of inflation). Who still is part of the Local Government Pension Scheme adminstered when he was a housing manager at Tower Hamlets Council cannot see that all of his employees should be paid at least the London Living Wage immediately, and from sources within Poplar Harca themselves doesn’t seem to support it. All those attending the protest turned up within their one unpaid dinner hour to show support for their representatives inside who were to have another meeting from 1pm onwards to try and negotiate again for the raise to start sooner than April. Cleaners I spoke to had still not heard the outcome of yesterdays meeting. Tension surrounded the protest as around 5-10 members of staff including senior members of the cleaning staff and other supervisors turned up and stood apart from the protestors laughing and shouting abuse at the protestors, who felt this was “out of order”. This became so heated that some felt that a fight was about to break out. I asked Debbie Cordrey – Poplar Harcas Chair of the Finance & Audit Board, about this neglect of estate cleaners myself in an earlier post, asking whether the rumours I was hearing were true regarding staff treatment. In her capacity as Chair of that board she would have probably been instrumental in descisions made regarding paying staff wage rates that can lead people into poverty. After accusing me of “suggesting that we (Poplar Harca) are some kind of secret society that meets under cover of darkness” she then goes on to avoid answering the question. I wonder if Debbie who was Senior Unison shop steward at Island Homes, who was summarily dismissed on 4 February 2009 from Island Homes, and is now a public champion for Poplar Harca, I wonder if she would spare a thought now for those down-trodden by Poplar Harca. I wonder also if she knows the Unison representatives trying to fight for the cleaners, as a senior shop steward herself for Unison, I wonder how she feels?. Not enough I imagine to answer a simple question over a month ago, about issues she probably once stood for. Mayor Boris Johnson is so supportive of the idea of the London Living Wage, and sees the need to give assistance to those who are most vulnerable to the effects of falling into poverty within London, has just recently raised the London Living Wage by another 25 pence per hour to £7.85 per hour. As always if there is anything you read here that is incorrect or that you dispute, please contact me and I will retract any statements that you prove otherwise. Unlike some I undoubtedly encourage free and open discussion, in fact I demand it. All responses will be published unless containing any defamatory, abusive or other derogatory statements.